My wife and I went out for a walk yesterday. The sun shone briefly but the day was cold. 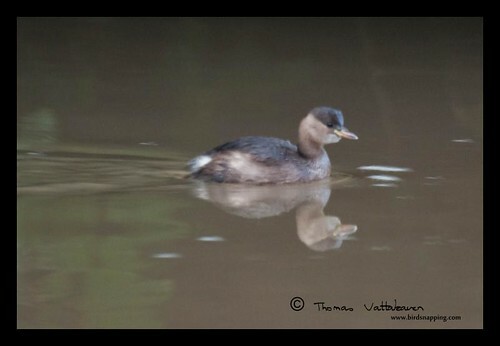 We mostly spotted mallards along the stream, but out of the blue came a little grebe. 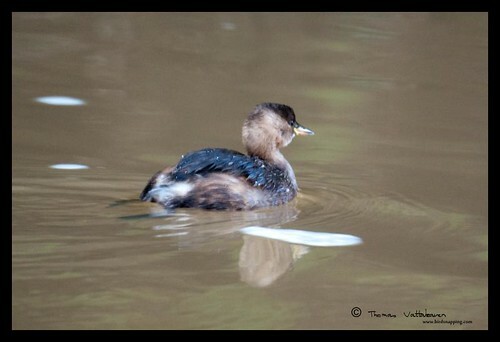 Also called as the Dabchick , the little grebes area bit “Dumpy “ in shape and can be mistaken for a ball of fluff floating in the water! 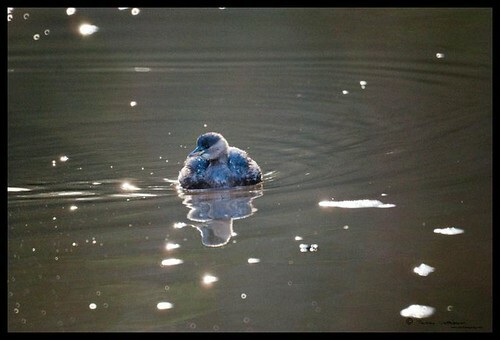 The little grebe is the smallest and the most common of all British grebes. A characteristic identifying feature is the yellow spot at the base of their bill. This spot becomes more prominent during the breeding season. 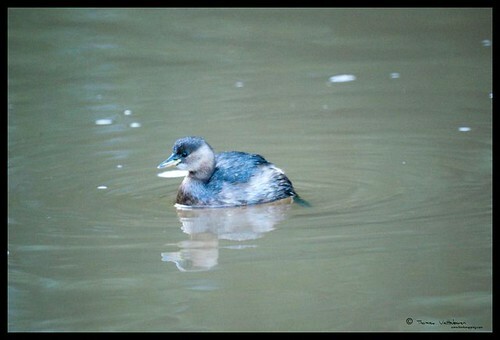 Little grebes can be found in ponds, lakes, rivers, marshes, estuaries and occasionally on the shore. They feed mostly on insects, molluscs and tadpoles. They also catch small fish at depths up to 1m. In summer their cheeks and throat look a dark chestnut rather than the dull brownish grey which is seen in the winter bird here. They nest on the water’s edge as their legs are set too far back on their body and they cannot walk very well on land. 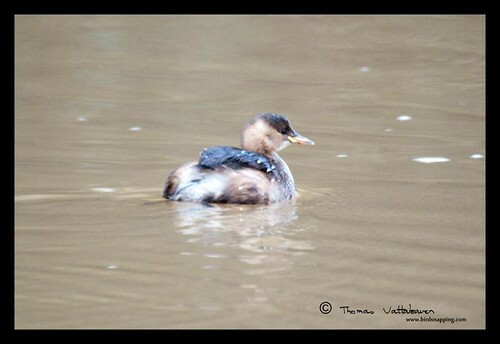 The Little grebes are also known for mating on their nests.